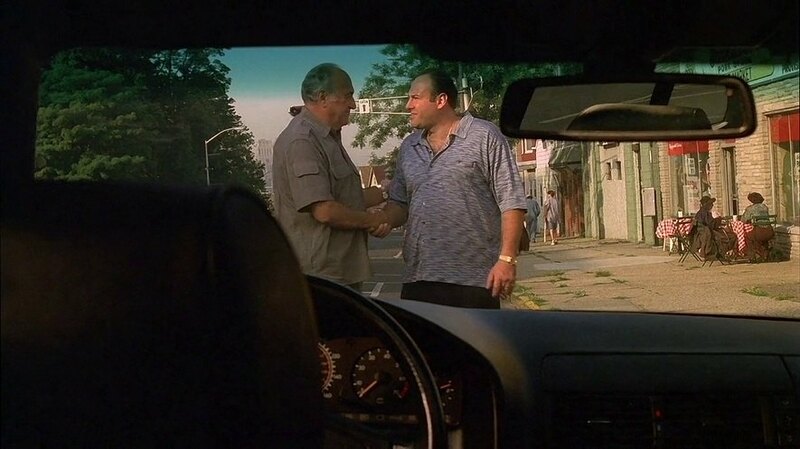 IMCDb.org: Mercedes-Benz [C140] in "The Sopranos, 1999-2007"
Belongs to Herman "Hesh" Rabkin (Jerry Adler), we see him get out of the car in one scene in episode 1.6 "Pax Soprana". Dashboard matches W140 S-Class or C140 S-Class Coupe/CL, and in a scene at Hesh's ranch episode 1.10 "A Hit Is a Hit", a Merc CL is visible in the background. 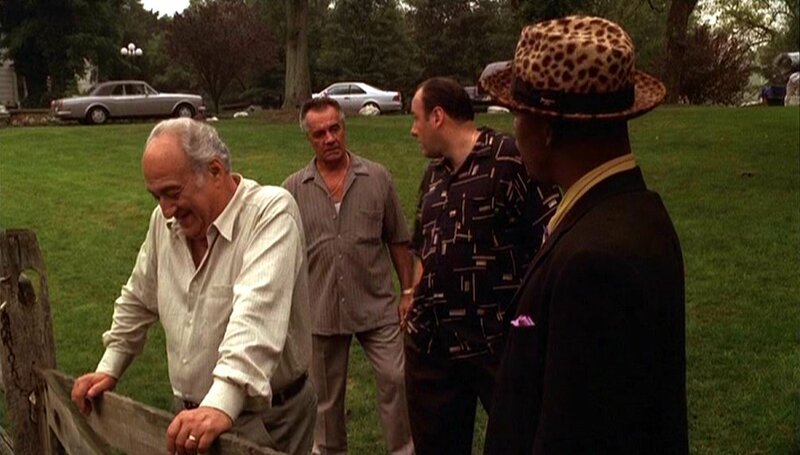 I'm wondering if maybe it would be better if we used a capture from the scene shown in my comment above instead. Shame. My pic is just a SD DVD capture that's been blown up a bit.